Dave Fields - All In – Making A Scene! 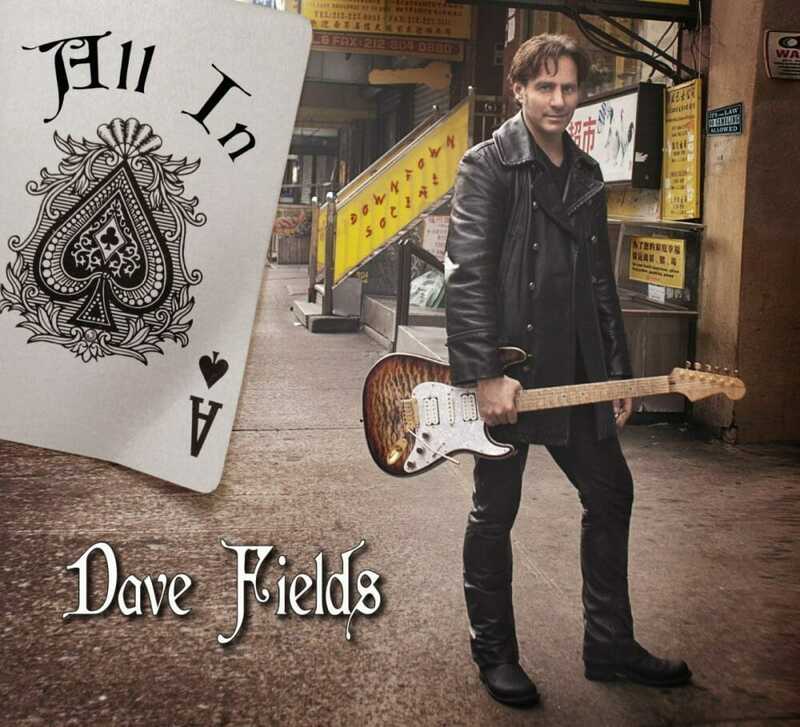 Dave Fields is a highly skilled guitarist and vocalist. Field’s 2012 recording “Detonation” established him as a major player in the world of Blues Rock. This is Field’s fourth recording. Today Field’s band consists of Andy Huenerberg or Tony Tino, bass; Kenny Soule or Dave Moore, drums; and Vladimir Barsky, organ. Dave Keyes guests on piano. Field’s music is mostly all original. He opens with the autobiographical “Changes in My Life”. Working musicians make some tough choices and Fields shares his with us. A leslie makes his custom built guitar sound like an organ. Here it screams as he wrenches the notes from its neck. “Let’s Go Downtown” was co-written with Billy Gibson and David Bowen. A few years back Fields was in the band when Gibson won his Blues Music Award for Best Instrumentalist – Harmonica. Fields’s own awards include “Big City Blues Magazines” Lifetime Achievement award, his induction into the NY Blues Hall of Fame and winning the IBC’s 2006 Best Self-Produced CD. .“Wake Up Jasper” is about Fields’ son and features Keys on piano. “Dragon Fly” is almost surreal. “Girl you Got those Voodoo Eyes” featuring Barsky’s organ and Fields outstanding guitar line; and “That’s All Right” were co-written with Sandi Rose. My personal favorites include “Got a Hold on Me”, “That’s All Right” and the acoustic “Lovers Holiday”. Fields was influenced by rock guitarists Eric Clapton, and Jimmy Page and here he covers two classic tunes. Robert Johnson’s blues anthem “Crossroads” was also covered by Clapton when he played with Cream. “Black Dog” was written and recorded by Led Zeppellin and featured guitarist Page. Fields seems to be more comfortable as a songwriter, front man, and bandleader than ever before. Fields is playing a high stakes game and declares he’s “All In”.